Regional Express (Rex) today announced that it has taken delivery of a Saab 340B aircraft at Townsville. 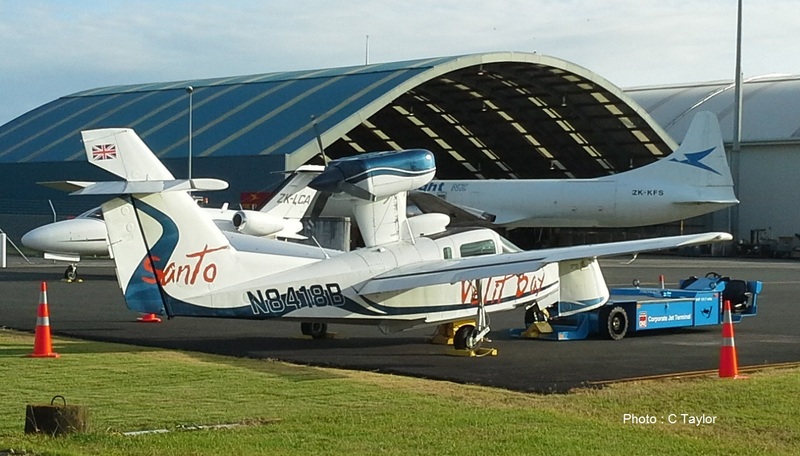 The aircraft used to belong to Vincent Aviation before it went into administration. This brings the Rex Group fleet of Saab 340 aircraft to 52, with 40 of them fully paid for in cash and the rest on a short term mortgage. Rex's General Manager of Network Strategy and Sales Warrick Lodge said, “The aircraft is intended for deployment in Queensland where new opportunities have opened up with the collapse of Skytrans." "With the award of five Queensland Government regulated routes to Rex, we now service 23 towns and cities across the state. This provides us with the economies of scale to further service the more remote parts of Queensland like the Cape Peninsula, as well as respond to the solicitations of other cities that have been crying out for our great hospitable air services at affordable fares." "The past 30 months have seen passenger numbers declining due to the economy and the increased competition. Rex needs to respond to this challenge by finding growth in other areas. Queensland represents the perfect opportunity for us given its size, geography and absence of quality regional carriers." "Rex will continue to inject more aircraft into Queensland in tandem with new opportunities opening up in the state." Regional Express (Rex) is Australia’s largest independent regional airline operating a fleet of more than 40 Saab 340 aircraft on some 1,300 weekly flights to 52 destinations throughout New South Wales, Victoria, Tasmania, South Australia and Queensland. The Rex Group comprises Regional Express, air freight and charter operator Pel-Air Aviation and Dubbo- based regional airline Air Link, as well as the pilot academy Australian Airline Pilot Academy. Air New Zealand is being investigated by the Commerce Commission over alleged "drip pricing" tactics that have got its Australian counterparts in hot water. Customers who book with the airline using the web or a mobile phone are shown a headline airfare, then have other charges added as they click through the process. One of these is a domestic travel insurance charge, typically $10 for a one-way domestic flight, which is added on an "opt-out" basis, meaning it will be added to the airfare unless customers choose otherwise. Wellington lawyer Michael Wigley has criticised the insurance charge, which he has labelled as "drip pricing", where companies advertise a low initial price then add other fees later in the purchase process. Drip pricing is in the spotlight across the Tasman with the Australian Competition and Consumer Commission taking legal action against Virgin Australia and Jetstar over added booking fees. Air New Zealand has been in trouble for drip pricing before: in 2006 it was fined $600,000 after the Commerce Commission prosecuted it for misleading customers about the real price of its airfares. Wigley said requiring customers to opt out of the travel insurance meant some people would accidentally buy insurance they did not want or need. "The whole idea of drip pricing is people inadvertently end up paying for things." Wigley raised the issue after realising he had unknowingly paid for travel insurance on a number of domestic flights, but he has had mixed messages from the airline about whether he can get a refund. He was told by An Air New Zealand lawyer that the company refunded any inadvertent purchases of insurance unless there had been a claim on the policy. However, following an online inquiry to the customer services team he was told that any insurance issued outside of the 14 day cool off period is not refundable. Wigley said that while $10 may not be a huge amount per passenger, it could add up to quite a lot of revenue for Air New Zealand if many people mistakenly purchased it. "The Commerce Commission should be looking at this and digging out internal documents. There may be management papers that talk about this." Commerce Commission spokeswoman Victoria Rogers confirmed the commission was investigating and said it could not comment further at this stage. "We are aware of this and yes we are looking into it," she said. Air New Zealand spokeswoman Imogen Dennis said the airline's view was that its offer of travel insurance was fair and complied with all laws. She said it offered customers the ability to opt out of taking up insurance on three separate occasions during the process of booking a domestic fare, or four times if the customer goes through the seat select process. "A small number of customers do contact us having inadvertently purchased travel insurance, or decided they no longer wish to be insured and we happily refund the insurance paid, providing it is within two weeks of purchase," Dennis said. "Obviously if the customer has already commenced travel or made an insurance claim, they have already taken the benefit of the insurance and will not be entitled to a refund," she said. Consumer New Zealand chief executive Sue Chetwin said drip pricing was a big concern for her organisation, which had submitted to Parliament on the issue in the past. She said add-on charges were common in the airline industry and Jetstar was "not good and maybe marginally worse than Air New Zealand on ticket pricing". Chetwin said the airline industry was not the only one that added extra charges on to initially cheap ticket prices. "With Ticketek you virtually never pay the price advertised because you pay all sorts of other fees," she said. The first is the additional credit card fee for each flight - why if you buy a return ticket at the one time do you have to pay two credit card fees???? The chose not to pay the seat selection fee because normally at the airport you can do a certain amount of seat selection. But a few times now I have been on partially full flights and couldn't select a window seat at the kiosk... I presumed because people were already in those seats but when I got in the plane there were a number of window seats free. Come on Air NZ - give folk a break... you don't have to embrace all the cut-price airlines policies. After all you are still the national airline, with the exception of Wairarapa, North Otago and soon the Far North, Buller and the Eastern Bay of Plenty. Hi, I am a keen follower of your blog and it keeps me in touch with NZ GA, so thankyou! I've attached photos of the aircraft taken last year some 26 years later!! Since you also included the name of the owner on your website it's clear to see why it was registered NJS! (Although I believe that's common with aircraft ownership anyway). If you took any Great Northern Air Race photos I'm looking forward to seeing them too. What name for new Whakatane service? Air Chathams is the Eastern Bay’s new airline although it may not be flying into Whakatane Airport under that name. The airline is keen to give the service a local flavour with Sunshine Airways and Eastern Bay Air suggested as possible names. Whakatane Mayor Tony Bonne announced yesterday that Air Chathams had been selected as the preferred provider of scheduled flights between Whakatane and Auckland. Increased capacity, improved passenger comfort and a significant upgrade in freight capabilities were cited as potential outcomes of the proposed new service, due to be introduced at the end of April when the Air New Zealand service ended. Mr Bonne said the proposal would see a locally-branded service provided by Air Chathams, utilising its fleet of 50-seat Convair 580 airliners, pictured below, and 19-seat Metroliner aircraft. 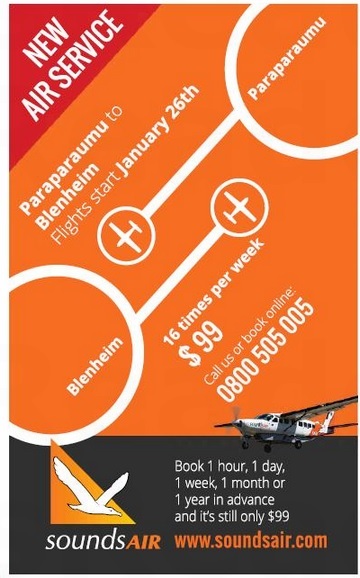 “I’m delighted to announce that a replacement service has been offered, which could provide significant potential for growth and a genuine opportunity for the Eastern Bay of Plenty to build a partnership with an airline which is committed to attractively-priced fares and developing travel, accommodation and activity packages which will boost the region’s profile as a short-stay domestic tourism destination,” he said. The announcement follows an extraordinary meeting of the Whakatane District Council yesterday, which confirmed Air Chathams as the preferred service provider for Whakatane-Auckland scheduled flights. The council also approved the extra funding required (subject to Ministry of Transport approval) for the expenditure needed to bring Whakatane Airport up to certification standard for use by the airline’s larger aircraft. Air Chathams managing director Craig Emeny said the company viewed the Whakatane-Auckland service as a great opportunity to expand upon its current scheduled services between the Chatham Islands and Auckland, Wellington and Christchurch. “This route has enjoyed solid loadings for many years and, for the most part, the services which have been timed to meet business travellers’ needs have been close to full,” he said. “We intend to offer two return services a day at times which will allow businesspeople to have a full day in the city, and because we can seat 50 people, we’ll be able to more than double passenger numbers at those key service times. “We’re also looking forward to working closely with the council and the local tourism industry to create the sort of packages and publicity needed to put the ‘sunshine capital’ on the map for people looking for weekend escapes.” The airline’s twin-engined, turboprop Convair 580 airliner is fully pressurised and passengers will appreciate its roomy cabin and cabin crew service. Air speed is comparable to the existing Beech 1900 service, so flight times will not change significantly. Air Chathams’ Metroliner may also be used when passenger numbers are lower. The aircraft and its crew will be based at Whakatane Airport. “We’d like to give the service a local flavour and branding,” Mr Emeny said. “Sunshine Airways and Eastern Bay Air are both possibilities, but we’d appreciate the community’s feedback on those, or other suggestions which would capture the magic of the area.” Mr Bonne said the council would continue to work with the Government to ensure that the airport, which was a 50:50 joint-venture with the Ministry of Transport, remained a viable long-term operation. “The airport plays a key role in the region’s transport infrastructure, opening up access to the rest of the country for our 47,000 residents. “It also makes an important contribution to our business sector and our economy and we look forward to seeing that grow over the coming years.” The Air Chathams service is expected to begin on April 29 and the airline intends to have a dedicated website and booking portal operating by the end of February. It has been confirmed today that Air Chathams will take over flights between Whakatane and Auckland. Increased capacity, improved passenger comfort and a significant upgrade in freight capabilities are potential outcomes of the proposed new air service, to be introduced on the route when Air New Zealand withdraws its scheduled services at the end of April. Whakatane mayor Tony Bonne said the proposal would see a locally-branded service provided by Air Chathams, utilising its fleet of 50-seat Convair 580 airliners and 19-seat Metroliner aircraft. "I'm delighted to announce that a replacement service has been offered, which could provide significant potential for growth and a genuine opportunity for the Eastern Bay of Plenty to build a partnership with an airline which is committed to attractively-priced fares and developing travel, accommodation and activity packages which will boost the region's profile as a short-stay domestic tourism destination," he said. The announcement followed an extraordinary council meeting today, which has confirmed Air Chathams as the preferred service provider for Whakatane-Auckland scheduled flights. The council has also approved the extra funding required (subject to Ministry of Transport approval) for the expenditure needed to bring Whakatane Airport up to certification standard for use by the airline's larger aircraft. Air Chathams managing director, Craig Emeny, said the company viewed the Whakatane to Auckland service as a great opportunity to expand upon its current scheduled services between the Chatham Islands and Auckland, Wellington and Christchurch. "This route has enjoyed solid loadings for many years and, for the most part, the services which have been timed to meet business travellers' needs have been close to full," he said. "We intend to offer two return services a day at times which will allow businesspeople to have a full day in the city, and because we can seat 50 people, we'll be able to more than double passenger numbers at those key service times. We're also looking forward to working closely with the council and the local tourism industry to create the sort of packages and publicity needed to put the 'sunshine capital' on the map for people looking for weekend escapes." The airline's twin-engined, turboprop Convair 580 airliner is fully pressurised and passengers will appreciate its roomy cabin and cabin crew service. Air speed is comparable to the existing Beech 1900 service, so flight times will not change significantly. Air Chathams' Metroliner may also be used when passenger numbers are lower. The aircraft and its crew will be based at Whakatane Airport. "We'd like to give the service a local flavour and branding," Mr Emeny said. "Sunshine Airways and Eastern Bay Air are both possibilities, but we'd appreciate the community's feedback on those, or other suggestions which would capture the magic of the area." Mr Bonne said the council would continue to work with the Government to ensure that the airport, which is a 50:50 joint-venture with the Ministry of Transport, remained a viable long-term operation. "The airport plays a key role in the region's transport infrastructure, opening up access to the rest of the country for our 47,000 residents. It also makes an important contribution to our business sector and our economy and we look forward to seeing that grow over the coming years." The Air Chathams service is expected to commence on April 29 and the airline intends to have a dedicated website and booking portal operating by the end of February. Sounds Air’s proposal to provide an air ambulance service in addition to a scheduled air service between Westport and Wellington is a big plus for Buller, says mayor Garry Howard. Sounds Air will take over Air New Zealand’s Westport to Wellington service in April. 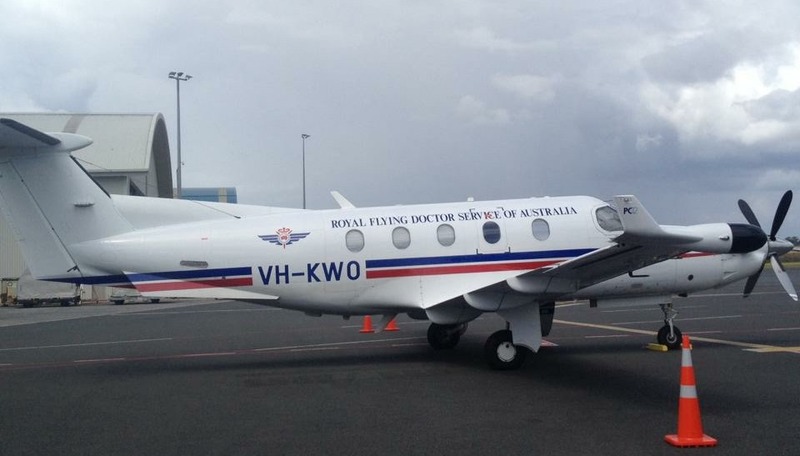 It is spending about $6 million buying two nine-seater Pilatus PC12s, formerly owned by Australia’s Royal Flying Doctor Service. It also plans to provide charters and is gearing up for medical transfers. Sounds Air managing director Andrew Crawford said yesterday that the airline planned to buy US$65,000 worth of medical gear so its planes could offer an emergency ambulance service. Mr Howard said the council was “really excited” about the benefits of an air ambulance service to the West Coast. “That’s something that we are encouraging and we will have discussions with the DHB with regard to that. This is really a good thing for the Coast. It certainly is going to assist with Westport and Karamea in particular.” He said his council would also be talking to Sounds Air about additional services at Westport Airport to benefit ratepayers. At present, Air New Zealand covered a number of the services at the airport, such as check-in, and rented the airport terminal “We will be looking at a package where we will be able to combine a number of jobs,” Mr Howard said. Westport Airport would lose about $600 in landing fees a year when Sounds Air took over, he said. The airline would pay less than Air New Zealand because it operated lighter planes, even though it would offer more flights. The fees are set every five years by the Ministry of Transport and won’t be reviewed until 2018. Westport Airport is owned by the Buller District Council and the Ministry of Transport. It made a net deficit of $107,855 for the year to June 30, 2014. The Westport Airport Authority now has accumulated losses of over $1m. Authority chief executive Sonia Cresswell said the airport accounts actually broke even but depreciation pushed them into the red. A change in airline operator might open the way for more income opportunities in future, she said. Sounds Air would pay for any new signage and marketing at the airport. “We anticipate any branding installed by Sounds Air will reflect the excellent standards the Sounds Air business is known for.” Air New Zealand has agreed to gift the council some of its ground handling equipment at the airport. The equipment had a book value of up to $30,000, Ms Cresswell said. The authority had received an excellent response both locally and nationally to the announcement of the new air service and looked forward to the opportunities the service offered the Coast, she said. Passengers were ordered off a flight to Melbourne after a tradesman left a screwdriver in Christchurch Airport's departure terminal. The passengers, who were boarding when the error was noticed on Saturday afternoon, were sent through security screening checks again. An airport spokewoman said the contractor regularly did maintenance around the terminal, sometimes after hours. When he realised he had misplaced a screwdriver, he "followed the correct processes, which resulted in our standard security processes being initiated", she said. Passengers were taken off the Virgin Airlines flight and sent through the screening process again. The 4pm flight was delayed by one hour and nine minutes. "The passengers were informed we had a security incident and were very understanding," the spokeswoman said. The screwdriver was found in the terminal. What would common sense say? Picton-based Sounds Air says it’s spending about $6 million on two aircraft for its new Westport to Wellington air service. The airline and the Buller District Council yesterday confirmed Sounds Air would replace Air New Zealand when the national carrier exits Westport on April 28. Sounds Air and the council have signed a six-year partnership, with rights of renewal and the potential for further flights or destinations. Sounds Air will provide 26 flights a week – six more than Air New Zealand - and a more customer friendly schedule. It will also offer charter flights. Managing director Andrew Crawford told The News Sounds Air was buying two nine-seater pressurised Pilatus PC12 planes - each costing around $3m. The first - a 10-year-old plane previously used by the Australian Royal Flying Doctor Service – would arrive in New Zealand next week to be refitted. “It’s going to have a brand new engine, new prop, new interior, new seats, new carpet and new paint job,” Mr Crawford said. 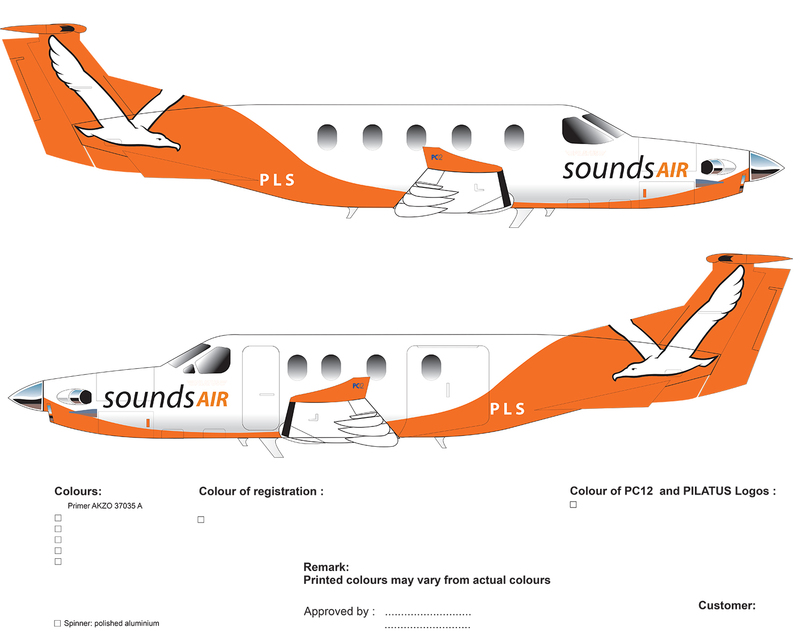 Sounds Air was buying another PC12, also costing around $3m, as a back-up. The airline would employ three extra pilots for its fleet, as well as three ground staff at Westport. The pilots for the Westport service would come from those flying Sounds Air’s existing Cessna Caravan fleet. The planes would be based in Westport and serviced in Blenheim. Safety reassurance Mr Crawford was quick to reassure anyone nervous about flying in a small, single-engine, single-pilot plane. He said Sounds Air flights between Westport and Wellington would be smoother, quieter and faster [40 minutes rather than 50 minutes], than those provided by Air New Zealand’s 19-seat Beech 1900s. The PC12 could provide a smoother ride by flying at higher altitudes of up to 30,000 feet, he said. Safety was not an issue. “We have been flying single-engine planes across Cook Strait since 1986. We’ve done over 150,000 crossings of Cook Strait with single-engine planes. We don’t think it’s any issue whatsoever… “The PC12 has a DC6 engine. It is an amazing piece of equipment – a similar engine to the Beech 1900s, but much quieter.” Sounds Air has had only one serious crash in its 30-year history. In 1996 a Cessna descending through cloud into Picton flew into a mountain, killing all five passengers. Only the pilot survived. Mr Crawford said the new service would be more reliable than Air New Zealand’s. In bad weather, Sounds Air could delay a flight until weather improved because it was flying only one route. Air New Zealand could seldom delay because its planes were required elsewhere. “We don’t expect any great issues with weather… These planes are much better equipped than Air New Zealand aircraft, avionic-wise.” The PC12 carried ample fuel if flights had to be diverted. “We have got enough fuel left to fly to Australia.” He said Sounds Air hadn’t really thought about flight cancellation contingency plans, such as bussing passengers to other airports as Air New Zealand has done. Air New Zealand cancelled 21 flights between Westport and Wellington last year for weather and other reasons. Mr Crawford declined to reveal how many seats the new service would need to sell per flight to make a profit. Nor would he comment on reports the council had guaranteed a minimum number of seat sales. He said talks were continuing. Mr Crawford is confident of charter opportunities for the new aircraft. He said local businesses that also worked elsewhere in New Zealand had already expressed an interest. Sounds Air planned to buy US$65,000 worth of medical equipment so the aircraft could operate as an air ambulance. Sounds Air would be talking to the West Coast District Health Board and to the Grey District Council about charter work. He had no doubts the new Westport service would be ready to take off on April 28, the day Air New Zealand pulls out. He said the only Civil Aviation approval required was adding the new aircraft to Sounds Air’s operating certificate. “The numbers are there and we are looking forward to providing an excellent service – a better service, if you look at the scheduling, than what’s been provided for some time.” Sounds Air had already received an “amazing amount of support” from Buller people urging it to provide a new service, he said. Bookings for the new service open on Monday. Passengers will pay $199 each way for adults and $179 for children, including a 20kg baggage allowance per person. Air New Zealand’s fares vary according to demand and when bookings are made. For example, flying between Westport and Wellington tomorrow, and returning on Monday, would cost between $229 and $279 one-way. Flying from Westport to Wellington on Friday February 27 would cost between $144 and $249. A return flight on Monday March 2 would cost between $99 and $169. West Coast-Tasman MP Damien O’Connor is a Sounds Air fan. Mr O’Connor was quick to plug Westport’s new airline after yesterday’s announcement Sounds Air would replace Air New Zealand. Mr O’Connor said he had flown Sounds Air several times between Wellington and Nelson and received a “great” service which matched Air New Zealand’s. There was no reason why a smaller plane would provide a less reliable service for Westport than Air New Zealand’s Beech 1900s, he said. The PC12 had instrument flight rating, was pressurised, and the Swiss aircraft was “an outstanding one, world-renowned”. Airlines operating small aircraft often provided a more personal and flexible service and a quicker exit at airports. Mr O’Connor congratulated Sounds Air on its commitment to Westport and Buller. “It’s great to see that a company is prepared to front up with the equipment and a timetable that is very generous in terms of options for the people of Buller and I hope we can generate the numbers that will give them a fair profit and return for their efforts.” He wasn’t aware of possible cost to ratepayers, but said that as long as it was manageable it was justified, given the significance of Buller remaining connected to Wellington and wider New Zealand through an air service. A small Chatham Islands based airline will now offer daily flights between Auckland and Whakatane. Air Chathams will start twice daily flights at the end of April when Air New Zealand stops servicing that route, along with some other regional services. CEO Craig Emeny says they'll use either a 50 or 18 seater plan - but want to use the bigger plane as much as possible. "It'll depart in the early morning and arrive about 8.00 in Auckland, which will allow businesspeople to carry out their business." 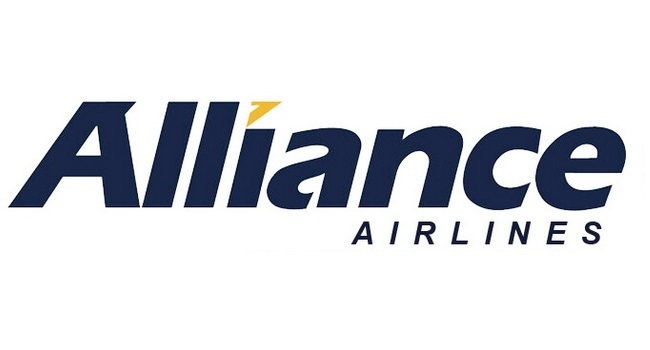 CEO Craig Emeny says flights have been limited to 19 seats in the past. "It will allow that part of the Bay of Plenty to have large groups come through, and they certainly want tourism to develop down there." Marlborough-based airline Sounds Air has announced it'll take over the Westport route. Mayor Tony Bonne says his council has yet to decide whether Air Chathams will take over the route to Auckland being abandoned by Air New Zealand in April. Mr Bonne’s comment follows announcements yesterday in various media, including Newstalk ZB, that the company would take over the route. Air Chathams chief executive Craig Emeny has been reported confirming that twice daily flights will start when Air New Zealand stops servicing the route to Auckland. Mr Emeny is reported saying the airline will use either a 50- or 18-seater plane – but prefers to use the bigger planes. Mr Bonne said the council was holding an extraordinary meeting on Tuesday to consider a report about the future of passenger airline services from Whakatane. The Buller District Council and Sounds Air are delighted to announce their partnership in bringing the West Coast a new airline service following the departure of Air New Zealand in April 2015. The new service utilises a modern pressurised nine seat aircraft – the Pilatus PC12. This high class, turbo prop, single engine passenger plane is supported by the renowned Swiss company Pilatus International. The plane has a proven track record and is currently used extensively in both Australia and America. We are excited to bring it to New Zealand for scheduled services. It is an excellent fit for both the volume of passengers we have and the weather and terrain in our region. The plane is fully pressurised and features the latest technology and safety measures. Passengers will notice high levels of comfort and low noise. The West Coast is heralding a new era in air service with the Council and Sounds Air combining to bring the Westport based service into being. The advantages for Coasters are a schedule which we determine, a guaranteed six year term with rights of renewal, and the potential to negotiate further flights and/or destinations as demand dictates, all within the security of a long term partnership. We are now able to deliver an improved schedule to residents which meet the needs of our business community alongside options for recreational users. This equates to 26 flights per week – 9 seats per flight. The internet price is a set price of $199 each way for adults, $179 for children and includes 20kg baggage allowance per person. The anytime online booking system gives customers a sense of security knowing there will be no price fluctuations or hidden additional fees when they choose to fly. Customers will be able to book services through the Sounds Air website from the 26th January 2015. Mayor Garry Howard, Sounds Air Managing Director Andrew Crawford and Westport Airport Manager Sonia Cresswell look forward to welcoming the public onto this exciting new service which offers the Buller region security into the future. Garry Howard and Sonia Cresswell would like to acknowledge the support Air New Zealand has offered over this time of transition, including the sharing of important data and gifting of equipment to the Buller District Council, which will assist in ensuring a seamless transition between the two carriers. 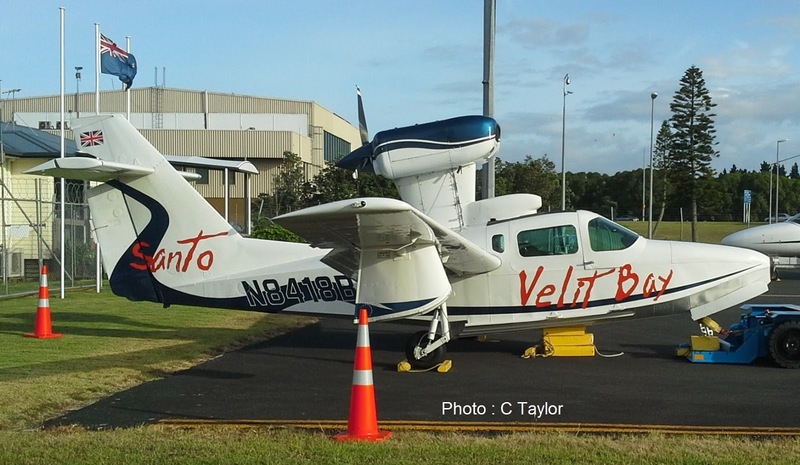 Captured at Auckland on 21 January 2015 was American-registered Lake LA-250 Renegade N8418B. Though registered in the USA it is a resident of Velit Bay Plantation in Vanuatu. Velit Bay is located on the tropical Vanuatu island of Espiritu Santo less than a half hours drive from the island's international airport and capital, Luganville. Cessna 152 ZK-EJV was on the line. Also photographed was Tecnam P2006T ZK-MTW which is locally registered. ZK-RON isn't on the register yet. What is the future for Whakatane? Was it really a near miss accident?? ?